The Urban Studies major draws from classes in sociology, geography, history, political science, economics, urban studies, and urban planning to explore issues related to cities, suburban communities and metropolitan regions such as transportation, education, housing, population shifts, crime, discrimination, and more. 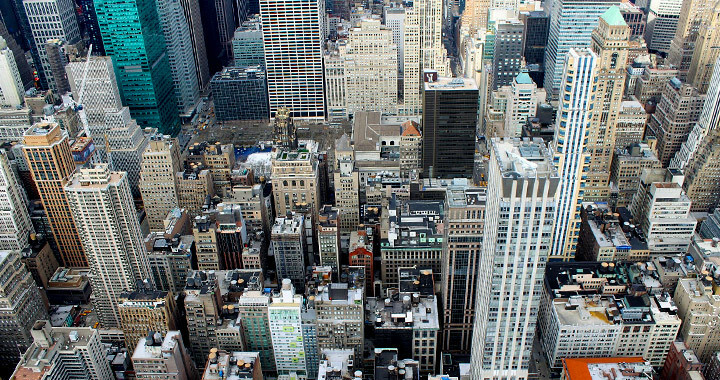 Urban Studies develops students analytical and critical thinking abilities through an examination of the history and growth of urban centers and the challenges they face today and into the future. Our faculty includes international specialists, but much of our curriculum focuses on American cities, and Milwaukee in particular. Our home city is unique, vibrant, and a wonderful place for hands-on study and research. Because of their interest in urban populations and problem-solving, many graduates work in the areas of community development, land-use planning, public works, community organization, housing policy development and implementation, public education administration, social services, construction management, public health, journalism and fund-raising. Entry-level roles can include tasks ranging from research to planning to program implementation to customer support. Students in Urban Studies take courses in a variety of disciplines with elective classes that reflect their specific interests and goals. Classes may come from the History Department, Sociology, Political Science, Economics, and more. An internship or study abroad experience is a popular option for students to gain real-world experience working in urban environments. We believe so strongly that experiential learning is an essential part of an urban studies education that we require a service learning experience for all of our majors. A certificate in Urban Studies is also available for students seeking a program that is closer to a minor. Download our major fact sheet or our certificate fact sheet to the right to learn more about our classes and events. The following courses in the College of Letters and Science are approved to count toward the Urban Studies Certificate. Each semester, the Advisory Committee will review and approve variable content course sections for the Certificate. No more than 9 credits from any one department outside Urban Studies and a maximum of 6 credits in independent study courses may be applied to the certificate requirements. While students may elect courses outside the College of Letters and Science to count toward the certificate, at least 12 credits must be completed in L&S courses and at least 6 of these must be at the 300 level or above. A total of 9 credits at the 300 level or above must be taken in residence at UWM. Credits earned at other institutions in equivalent Urban Studies programs and accepted by UWM as transfer credits may count in partial fulfillment of the certificate requirements. One course is recommended in the natural sciences. In the senior year, a student may plan an independent study course to synthesize previous work in Urban Studies. An internship in Urban Studies 289 or 489 is recommended highly. Students currently involved in baccalaureate studies who complete the requirements of the program successfully will be awarded the certificate at the time of graduation. Post-baccalaureate and non-degree students will receive the certificate upon successful completion of the program requirements. The College requires that students attain at least a 2.5 GPA on all credits in the major attempted at UWM. In addition, students must attain a 2.5 GPA on all major credits attempted, including any transfer work. Future Students contact an L&S admissions counselor at (414) 229-7711 or let-sci@uwm.edu. All other inquiries can be directed to the department.